The miraculous healing of a 17-year old farm boy. 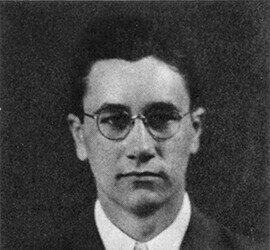 At the tender age of 17, Granville Oral Roberts’ life was changed forever by his supernatural healing of tuberculosis. 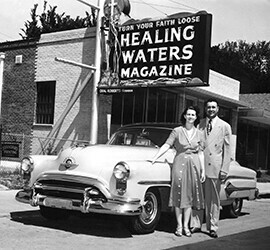 He began his own miracle ministry with his first public healing service in Enid, Oklahoma in 1947. 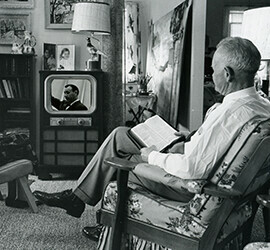 1955 saw the first primetime LIVE TV healing service America had ever known, broadcast from Oral’s tent cathedral. He had been told it was “technically impossible” to bring TV cameras into those services. Oral established the Abundant Life© Prayer Group in 1959 and it is still offering faith-inspired prayer today. To date, more than 27.5 million calls for prayer have been answered. With the approval of the Oral Roberts Evangelistic Association Board in 1962, Oral Roberts broke ground on a 500-acre university campus. 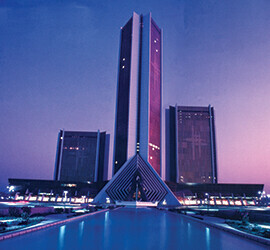 Through enthusiastic Partner financial support, Oral Roberts University was built and began classes in 1965. Now operating separate from Oral Roberts Ministries, God’s mandate is still being fulfilled today. 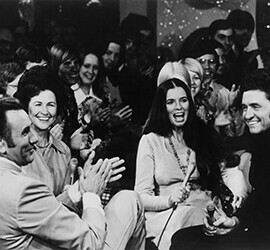 ORM’s first national television special aired in 1969, featuring Mahalia Jackson as the main guest. From 1969 to 1975, several more TV specials were broadcast, with an array of Hollywood talent participating, including stars of the day such as Roy Rogers, Dale Evans, and many others. 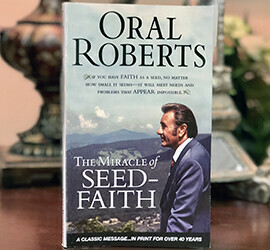 Of Oral’s 133 books, 32 booklets, and several commentaries on the Bible, his milestone book, The Miracle of Seed-Faith, first published in 1970, changed the thinking of believers everywhere about giving to God and receiving from God. Its message of the power of God’s principle of seed-sowing, expecting a miracle, and receiving a harvest continues to minister to the Body of Christ today. 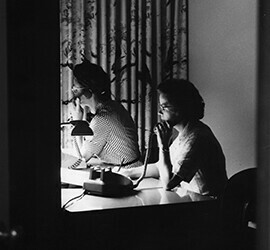 Oral took a bold step in faith in 1981 with the building of the City of Faith Medical and Research Center, but it made a tremendous impact on people’s understanding that God heals through both prayer and medicine. Richard Roberts, Oral’s youngest son, also felt the call to minister. 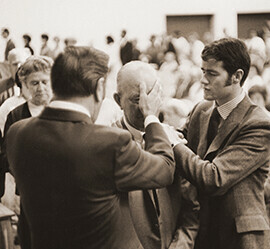 And at the age of 19, he began playing an active role in the Ministry alongside his father. 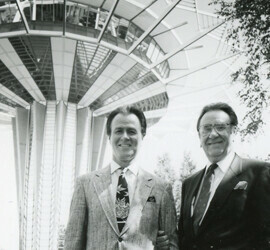 Dr. Richard Roberts took over the reins as Chairman and CEO of Oral Roberts Ministries in 1993. 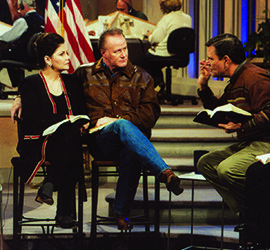 In 1997, Richard and his wife, Lindsay, began a nightly interactive TV show, The Place for Miracles (still airing daily, M-F). To date, The Place for Miracles has received more than 150,000 calls from viewers reporting testimonies. Born of Jordan Roberts’ vision for feeding hungry children in times of crisis, Hunger Needs a Voice® (HNAV) was founded in 2007 as a humanitarian outreach of Oral Roberts Ministries, with Jordan as its Director. 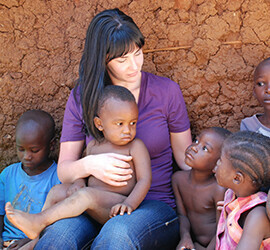 Children and families in need from all over the world have benefited from the food and other resources it has provided. 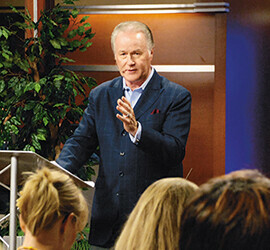 In 2010, the Richard Roberts School of the Spirit® online education classes began being offered. Later expanded, and changed to the Richard Roberts School of Miracles, thousands of students from over 100 countries are continuing to enroll in its ever-developing, biblical courses. 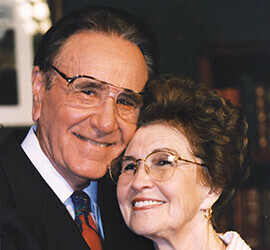 Oral’s “darling wife Evelyn” went home to be with her Lord in 2005. Oral joined her in heaven in 2009. Their legacy lives on as Richard and Lindsay and Oral Roberts Ministries is fulfilling Oral’s goal to reach as many people as possible with the foundational principles of healing, seed-faith living and the Holy Spirit, and to continue to get the message out that God is a Good God and He desires to save, heal, and deliver all who call on His name in faith. Using the latest in portable, standalone, easy-to-use, fully-programmed, digital tablets, the Greater Works Campaign is helping equip pastors and leaders around the world spread the Good News of Jesus. Our goal is to translate almost 70 years of Oral Roberts Ministries’ resources (written, audio and video) into the world’s top 11 languages, and then distribute the free tablets to those pastors and leaders in regions around the world where access to Christian materials, computers and the Internet is difficult or impossible to access. 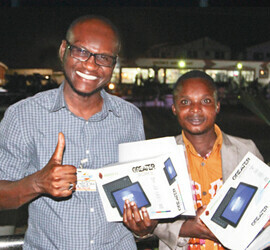 To date, over 2,100 tablets have been distributed for free in Arctic regions of Canada, West Africa, and Central India.